Minimum GPA of 86 after the first semester, minimum grade of 80 in research methods course, final GPA over 80. Length: between 20,000-30,000 words (approximately 80-120 pages). Cost and Timing: The tuition is $5,000- fall and spring semesters. There will be an extra fee of $500 per semester for students who need an extension. After completing the Research Methodology course during the first semester of the program, a student may submit a master's thesis proposal to an advisor of the student's choice. Students must achieve a grade point average of at least 86 in their first semester and have at least 80 in the research methods course in order to be admitted to the thesis track. Students cannot drop below an 80 average in the rest of the program. Students who choose to complete a master's thesis will be required to enroll in a fourth semester. The cost of this semester is $5,000, and includes: library access, meetings and supervision under your adviser. Students must make a formal request in writing to the Conflict Resolution and Mediation Program administration at tau.crm.director@gmail.com indicating the thesis advisor he/she would like to work with. The program will communicate with the advisor and return formal approval within 2 weeks of the receipt of the written request. Students may obtain informal permission from advisors beforehand, however, the student and advisor should not begin working together until formal approval has been granted. Advisors may be selected from a list supplied by the program or from any professor at Tel Aviv University who is able to act as an advisor for an MA thesis. Additionally, if more than one advisor is required because of the unique multi-disciplinary nature of the research, this is possible on a case-by-case basis and decided by the program. 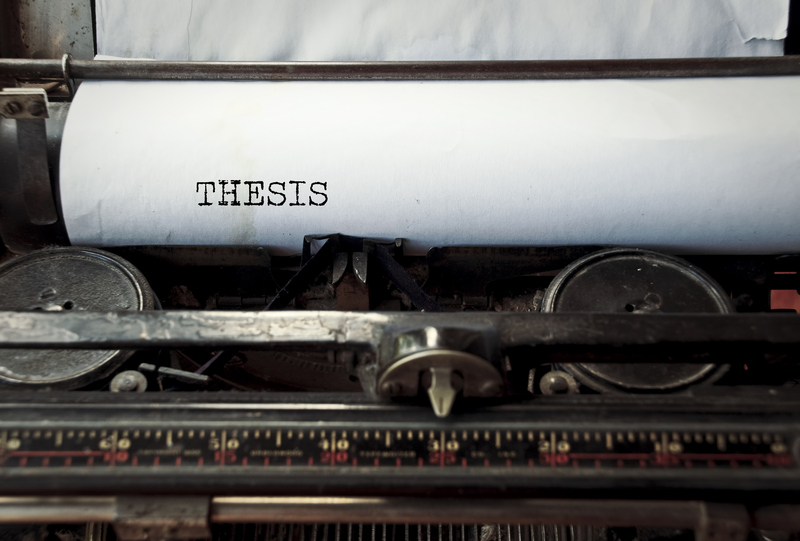 Advisors may require students to take courses related to their thesis topic. Students are expected to attend a weekly Thesis Workshop course where students have an opportunity to discuss their thesis progress and challenges in the guidance of the program head. The meeting schedule will be determined at the beginning of the year. A research proposal is required before the thesis project commences. The research proposal must be submitted to program for approval by your thesis advisor. Research proposals should not exceed 6 pages of text and 3 pages of bibliography. Proposals must be submitted on regular letter paper with margins of 2.5 cm on each side. The proposal must be divided into the sections specified below. Cover Page – Including student's name, advisor name and date. Introduction (1 page) – introduce your research question and define how it will be researched. Define the time and location of your study. If you are writing a historical thesis, you should define a span of time. Scholarly Discourse (2 pages) – recount the main scholarly discussions of the subject. What research approaches have been used to discuss the subject thus far, and who are the main contributors to these discussions? What are the limitations and strong points of the existing discourse on the subject and why? Identify the gaps in the current discourse, and why have they not been treated thus far. Explain any theoretical or interpretive approaches relevant to your study. Research Questions and Assumptions (1 page) – Present 2-4 research questions (formulated with question marks at the end). After each question, you should explain the importance of the question to the thesis, address any assumptions that stem forth from the premise you've asserted, and describe how answering this question will contribute to the overall discourse on the subject. Hypothesis (1 page) – Write answers to the research questions posed in the previous section based upon the research you've conducted thus far. References (1 page) – Briefly summarize major works that will be used in your thesis. Any special issues regarding source material should be discussed here. Theses must be between 20,000-30,000 words (approximately between 80-120 pages), including bibliography. Theses should be typed, double-spaced and printed on regular letterhead paper with 2.5 cm margins. Abstract - 250 word maximum, stating the major thesis of the work, its goals and the methodology employed. Table of contents - includes page references to all parts of the thesis, including bibliography. Components of the Thesis - several chapters, including an introduction and conclusion. The chapters should preferably be divided into sub-sections as well, although this is left to the discretion of the author in consultation with her/his advisor. Sub-sections need not be listed in the table of contents. Notes - every work must include the appropriate scholarly references and bibliography. Notes may be placed either at the bottom of the page (footnotes) or at the end of the work (endnotes). They are to be numbered continuously throughout each chapter. Citations – use one standard format for citations. You may choose either Chicago Manual of Style, or Modern Language Association (MLA), or Turabian. Be consistent. Bibliography - should be formulated according to the same style chosen for notes. Proofreading - you are responsible for proofreading the final copy of your work. Foreign terminology - clearly mark (underline or italicize) all foreign terms employed in your thesis. Transliteration - use one system of transliteration for terms in Arabic, Hebrew, or any other non-Latin language. Two hard-copies of the MA thesis must be submitted to the International Program in Conflict Resolution and Mediation office in Naftali 722 on the specified due date. An electronic version must be submitted as well in both .doc and .pdf formats only.